People don’t care for estate agents very much. Many have the annoying habit of taking prospective buyers to abodes that are either wildly out of their price range or to houses that show a complete disregard of the specific criteria they are looking for. Then there is the awkward issue of being shown around by someone who is trying every tactic in the estate agent’s handbook to convince potential buyers that the property in question is the perfect fit. Using words like ‘cosy’ in the hope that the buyer won’t realise they have just walked into a matchbox. But worst of all are the extortionate fees. In the UK, high street estate agents can charge a percentage fee that can range anywhere between 0.75 percent to three percent (including VAT), of the agreed selling price for a property. Consider the fact that the average price of a house in London is £350,000 (around $500,000), and an estate agent could potentially take up to £10,500 home in commission. Then there are all the little add-ons for services – many of which are not necessary – that can tag thousands of pounds onto the estate agent’s bill. For years, the industry has existed like this. It has had little to no outside interference, with few market disruptions or new entrants to give it reason to change its antiquated business model – until now. Over the last couple of years, more than $1.4bn has been invested into real estate start-ups, according to the tracking site Crunchbase, with a huge proportion of that capital finding its way into the UK market. Investors clearly see an area to exploit: a number of property companies have begun springing up with the intention of shaking up the traditional high street estate agents, who for the longest time have failed to incorporate technological solutions into their business model. Online companies such as Rentify, easyProperty, Purplebricks and eMoov are all looking to capitalise on the inaction of the traditional estate agents, usurping them as the middlemen of the property market by taking house sales and lettings off the high street and onto the internet. In fact, more than 90 percent of prospective home buyers began their search online and real estate related searches on Google have grown by as much as 253 percent, according to a report by the National Association of Realtors. The mass consumer migration online is not a new phenomenon: people have grown accustomed to using technology to help them look at and buy things online, as it provides access to a wide variety of products and services all in one place; making it even more bewildering that traditional estate agents have failed to react to this glaringly obvious trend. So far, the high street chains – which still hold the lion’s share of the property market – have only recently adopted online portals, affording customers the opportunity to at least view pictures of the properties that they have on their books. Technological solutions have been around for a while now that would grant their customers increased flexibility, but there has been little movement to adopt such solutions. 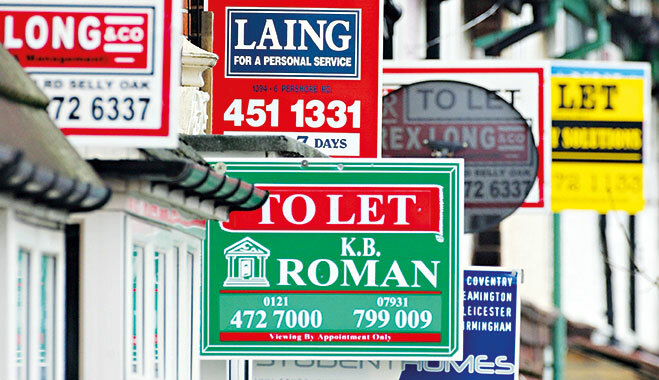 The inaction of many high street agents in this area comes down to a number of factors. For starters, many are locked into long-term leases and are burdened by large numbers of staff dotted around offices all over the country, which is a situation that is extremely difficult to untangle. Adopting a more tech-based business model would lead to a huge reduction in staff. Making large swathes of people redundant is not only an unpleasant process; it is also a costly one. The sector has grown complacent due to the lack of new entrants into the space for many years – leading to an ‘if it ain’t broke, don’t fix it’ mentality among the high street chains. It is this reluctance to change with the times that online estate agents like easyProperty and eMoov are hoping to take advantage of. This new breed of online estate agents aims to provide prospective buyers, sellers, renters and landlords with increased levels of choice, control and value. Because these estate agents are online they are able to pass the savings they make on reduced overheads directly to the consumers. Unlike the bricks and mortar of the high street, online agents do not have to fork out money on a store front, company cars or staff. They also provide a lot more flexibility with regards to the services they provide – offering customers a ‘pick and mix’ structure that lets their clients pay for what they need. Another area where many people are happy to do without the unnecessary input of the dreaded estate agent is the actual viewing of the property. Most people don’t need someone to accompany them on a viewing and most are far better positioned to talk about their property than an estate agent is. Consumers are also going to be far more happy with the prospect of doing it themselves too when they realise that they can save money by doing so. Online estate agents like easyProperty provide strength by remaining in the background. Negotiating the deal, matching the right person with the right property – not traipsing around in a car emblazoned with their logo on it and spending two or three hours out of the office to do a viewing that merely raises the total cost to the consumer. “Online gives an impression of being a DIY offering, and it isn’t”, said Ellice. “With us you have exactly the same service as a high street agent, but at a fraction of the cost. You get premium listings on Zoopla. You get printed brochures and viewings, all for £1,500. It is still early days for online estate agents, but the sector has all the right conditions to make a big impact in the coming years. easyProperty, for example, has already got more than 1,300 sales properties on the market, with 200 commercial properties on the market and a further 3,540 rental properties for customers to choose from. These statistics are made even more impressive when considering the fact that the sale side of the company was launched in September last year, its commercial and lettings business opened in April and September of 2014 respectively. This rapid expansion has been helped by the huge amounts of funding that the sector has managed to obtain, with tech entrepreneurs and other investors looking to take a chunk out of the high street’s market share. Purplebricks has managed to secure more than £25m in investment and easyProperty has seen similar levels of funding. Most of this money will no doubt be spent on improving consumer awareness, as many people still use high street chains when buying and selling their homes. But once consumers become aware of the savings on offer and the prospect of never having to deal with an estate agent again, they may never look back.